Lyons Transport commenced operations in 1986 and has grown over the past 30 years to become a much trusted logistics supplier to many companies across Australia.We are one of the Southern Highlands largest independently owned logistics groups and have developed a broad customer base that services all types of industry. We specialise in providing road services to the railway and engineering industries. We have enjoyed long relationships with many of our clients which highlights our level of commitment, our ability to adapt to our customers’ increasing logistics needs and quality of service provided over the years. 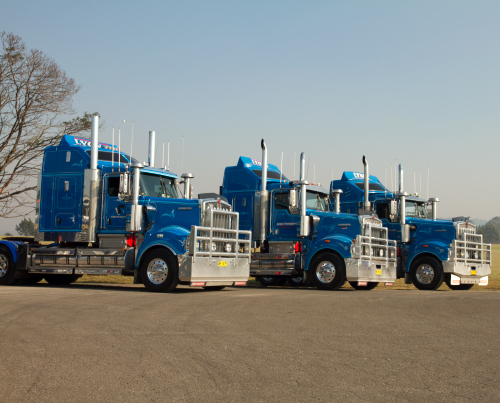 Lyons Transport specialises in providing express and general freight delivery to and from the Southern Highlands NSW, Sydney, Melbourne, Brisbane and Adelaide with selected services to Perth and Darwin. No matter where you need to get your goods Lyons Transport will be able to assist you. Great people, top service, very reliable, very professional and they take great care of what they are delivering. I have used the service of this company for the last 10 years. They have NEVER let me down. In an age where there are plenty of other companies trying to get business and offer ridiculous rates I would not risk losing the service that quite frankly only Lyons Transport can provide. I will NEVER chose any other company.